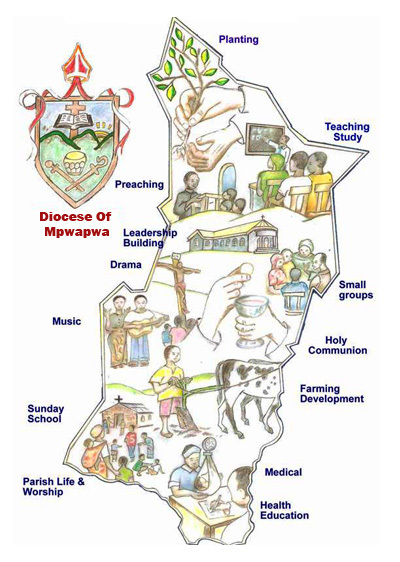 The mission of this department is to facilitate the improvement of the lives of the people in their villages and parishes through education, capacity building and socio–economic development services in partnership with other Churches and organisations. Projects will ensure the participation of all in decision making, implementation, monitoring, follow up and evaluation, so as to reach goals effectively and efficiently. I. People Owned Process (POP) – the Diocese will be a pilot area for this project which is supported by BREAD FOR THE WORLD and uses the theory called participatory learning and action( PLA). II. Christian Churches Mobilisation Process (CCMP) – the Diocese will be a pilot area for this project which is supported by Rochester Anglican Diocese through TEAR FUND and using Christian Council of Tanzania (CCT) consultants. These projects will assist villagers to identify and utilise available resources in their area through learning together. The Development Department with Jitume Foundation is trialling the Development of Village Economies through a process of consultation with village and parish leaders. 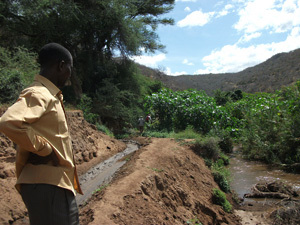 This is a project in the far south of the diocese where there is very little rain but there are rivers with year-long flow. 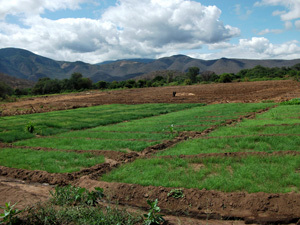 Natural irrigation channels were constructed by the Youth of the diocese in 2011 and local farmers have already benefitted with up to three harvests per year now possible instead of one. 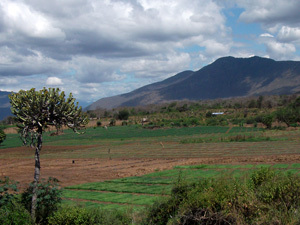 The diocesan farm was cleared and prepared and planting of 7 acres of maize was carried out In November 2013 and harvested in May 2014. This village has also become a trial village economy project, aimed at improving the village economy in all its facets and, therefore, the lives of the people. This is a co-operative project between the Development Department and Jitume. A meeting of members from the village government, parish council and others was led in a process of considering what was good about life in the village and what was not. From this a number of issues were raised and a way forward considered. Initially, some issues will be raised with the District Council (eg residence for teachers, drinking water) and other possible solutions to problems investigated (eg solar water pump for improved irrigation, fuel efficient stoves, health education).